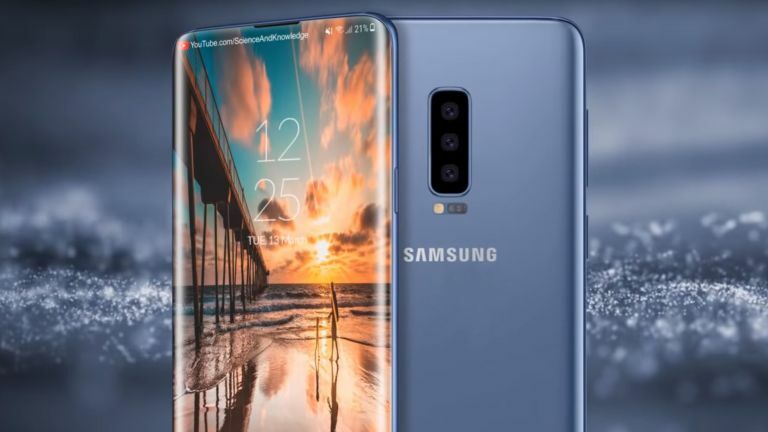 The new Samsung Galaxy S10 is due out early next year and has already been puffed up by Samsung as its phone that will take a big step forward and it looks like the screen could play a big part in that according to new leaks. According to prolific leakster Ice Universe we can expect Samsung to unveil a new type of flat display on the 5.8-inch Galaxy S10. Yup, the company that made the curved edge AMOLED display a trend-setting feature for its flagships could be changing again. Will it lead the way though? The short answer is no. This is a feature that will be reserved for the budget version of the S10, apparently, while the two top-end models with still feature curved displays at 5.8- and 6.4-inches. While the top end model could have 5G connectivity, a triple lens camera and ultrasonic under-screen fingerprint reader, the flat screen model may not. Instead it should come with an inferior optical under-screen fingerprint reader. So while the flat display could be a winner for those that find the frankly impractical screen warping curved edges of the Samsung Galaxy handsets annoying, it will mean sacrificing other cutting-edge specs. That said you'll probably be saving a lot of money too. We'll have to wait until early 2019 for the full reveal of the new range of Galaxy S10 handsets to learn everything.